Loading... Developed By CleverPDF | (Version 3.0.0) | April 3, 2019 | (100% Clean – Tested). 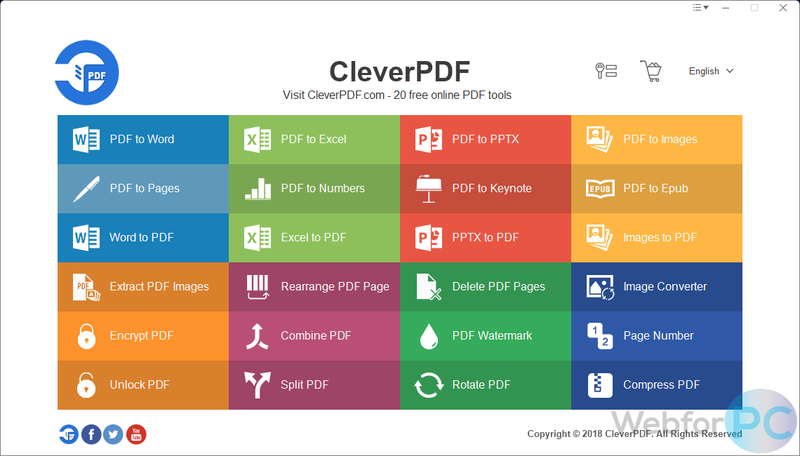 CleverPDF stacks 24 practical tools to convert, create, combine, encrypt and edit PDFs through all in one platform. The UI combines features like Word to PDF, Excel to PDF, PowerPoint to PDF, images to PDF, Extract PDF Images, Rearrange PDF Page and many more. Editor’s Note: CleverPDF boasts some remarkable features to get the PDFs on the go. The program is easy to use, quick in completing the operations, supports batch processing, presents powerful PDF conversion tools, and an intuitive UI, but it merely converts three pages while using the free edition. Apart from that, it is a precise program that does everything by keeping the file quality in view and performs the assigned task without any lag.
. Setup Size: 29.3 MB. 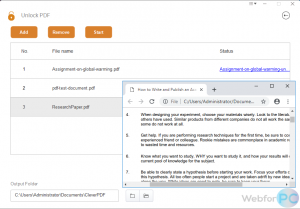 CleverPDF is a program to create, combine and edit PDFs conveniently; the platform facilitates the tech users with a broad range of portable document services. The application is ready to be used offline. Besides, the web edition is also there to be utilised via a browser. The desktop version contains all the features that are available on the online service except for the ODT to PDf conversion, in conjunction with this it can be used on both Windows and Mac operating systems. 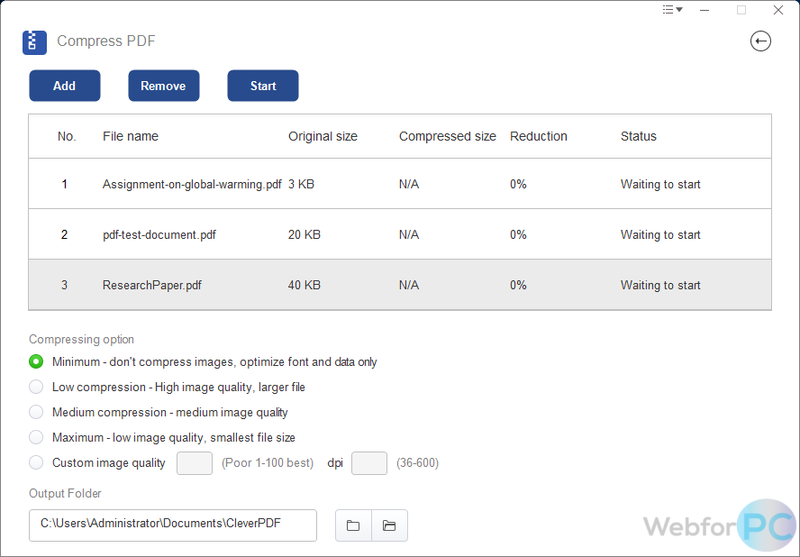 It competently compresses the large PDF files, provides users with an option to choose whether they would like to retain the image quality or focus on the compression of the record alone. The PDF file format is now widely in use since the documents offered in this format are of high quality and can be secured by using the password protection service: the reason tech users prefer sharing the data through it. Similarly, this application is also proficient of enabling the encryption on the PDF files; also it is capable of removing it from the protected files. Doesn’t Require an Internet Connection. 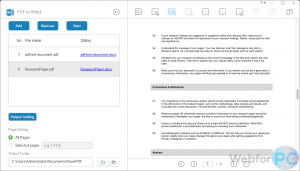 A Broad Range of Tools to Manage PDFs. Quickly Converts PDF to other Format. Encrypt or Unlock the Documents. No ODT to PDF Conversion. Can’t Convert More Than 3 Pages with Trial. 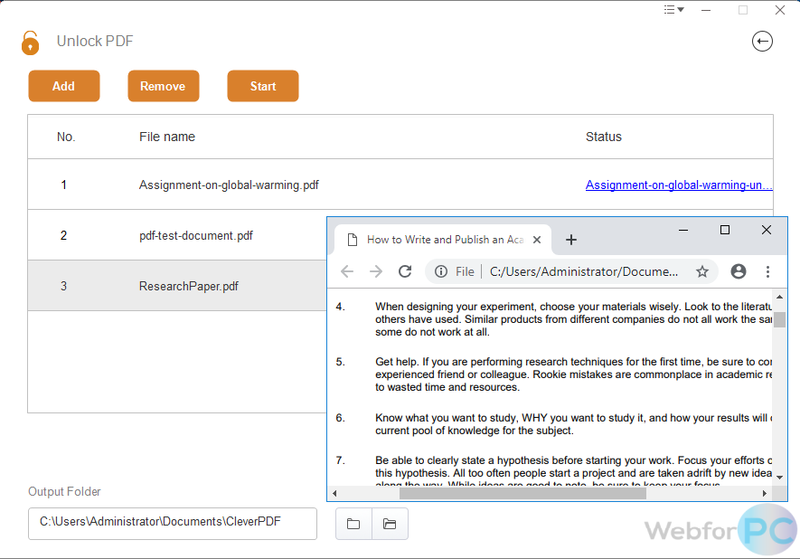 CleverPDF allows the users to merge the PDF documents; it can combine them and split them too, moreover, it has multiple page management tools, that can proficiently assign numbers to the pages, delete or even rearrange them. Using both the desktop as well as the online service is absolutely a piece of cake; thus the novice can take advantage of it as it does not require expertise, so far so good. Moreover, apart from converting the PDF files to different formats, it can also convert a few other file formats to PDF. Additionally, one can also convert the images to PDF and other formats that include BMP, GIF, TIF, TIFF, PNG, JPEG etc. Bare that in mind, that it only allows to convert three pages for each file, if the PDF files contain any more than three pages, wistfully the freeware will not be able to get the job done, at this point the user will have to upgrade by purchasing a subscription. One thing that is appreciable in this program includes how it allows the users to select the specific part of the document and then convert that information only. Thus, make a long story short, if one does not want to convert the entire document, no problem at all! Large PDF files can be compressed; however, the user may choose to maintain image quality. PDF files can be easily converted to various format types; however, the free edition restricts the number of pages that can be converted. Add watermark using the option given in the program; the user can select the size, font, and position of the text. Also, the image can be added to watermark the PDF. Image converter allows converting the images to multiple formats including BMP, GIF, TIF and more. It will encrypt any Df file, add a password to it and put a lock on which will restrict the recipient from printing or editing it further. It makes all the pages proficiently, merges them, deletes them and can even number them for you. The software will open your encrypted PDF file without even inquiring about the password that was already set on it. 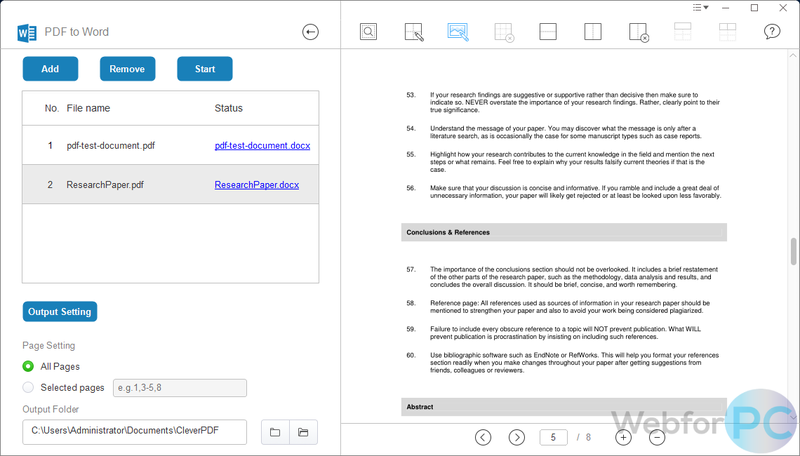 Combines different PDF files to create a single document by using the combine PDF option. The service also facilitates its users to rotate the PDf file to 90 degrees or 180 degrees. File Size: 29.3 MB (30,777,344 bytes).